Contact lenses are not an easy solution for every person suffering with vision problems. Some eye conditions make wearing contacts a difficult proposition. However, it does not rule out wearing contact lenses altogether. It just means patients need to discuss options with their eye care provider and obtain specialized hard to fit contacts for their specific vision problems. Astigmatism: Astigmatism develops when the front of the eye curves into a bulge or oval shape. It causes blurred vision and can be difficult to correct because regular contacts cannot account for the bulging. 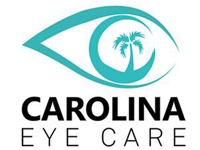 Dry Eyes: When eyes become excessively dry, it leads to irritation, burning, redness and blurred vision. Contact lenses can exacerbate these conditions by making it feel like a foreign object is stuck in your eye. GPC: This form of conjunctivitis is caused by inflammation on the inner surface of the eyelid. Protein buildup on contact lenses can make this condition worse. Keratoconus: This is an uncommon condition that causes major discomfort when wearing contacts. Keratoconus happens when the cornea becomes thinner and allows the eye to bulge forward. The bulge forms into a cone shape. Presbyopia: Eyes tend to have a tougher time focusing on close objects as they age. This condition is known as presbyopia. It typically affects people aged 40 or older. Wearing contacts is not impossible if you suffer from one of the above conditions. You do need to meet with an eye care professional, however, and get prescribed contact lenses that are tailored to deal with your specific vision condition. Gas permeable lenses are a good solution for patients who suffer from GPC or Keratoconus. A GP lens will limit protein deposits from accumulating which will reduce GPC symptoms. It is also effective in containing corneal bulging and relieving pressure on the tissue for a Keratoconus sufferer. Toric lenses are useful for correcting astigmatism. Since the lens needs to align with the bulge it is correcting, toric lenses must not rotate in order to fit on the eye. They are typically custom made to correct a specific astigmatism. For that reason, this type of lens takes longer to make and costs more than a traditional contact lens. Bifocal and multifocal lenses can help remedy presbyopia. Monovision lenses are another option for presbyopia. This type of lenses can have one fitted for distance vision and the other for seeing close objects. Medicated eye drops can be an effective solution for dealing with dry eyes. They will lubricate eyes enough to make contact lenses more bearable, although a punctal occlusion also must be done to plug the ducts in some extreme cases. GPC symptoms can also be lessened through medicated eye drops. They flush out protein deposits and reduce inflammation.